​Alan Thomas spent 30 years as a police officer with the Metropolitan Police in London retiring as a Detective Sergeant in 2008. Alan spent the last three and a half years of police service running the Hi-Tech unit of the Anti-Terrorist Brach (SO13). This was the busiest period in the history of the branch and included the London bombing during the summer of 2005, the ‘airline’ plot and Younis Tsouli (Terrorist 007). Prior to this Alan started the Hi-Tech Unit at the Anti-Corruption Command at New Scotland Yard investigating serious internal corruption. 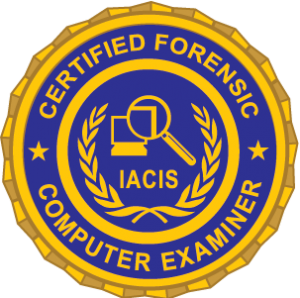 Alan originally joined this command as a financial investigator but moved into forensic computing in 1998. Alan attended IACIS CFCE course in 1999 and was the first CFCE in UK. Alan also holds a Guidance Software EnCE certification. In 2008 Alan retired from the police and was recruited by Vodafone, the largest mobile telephone company in the world. Alan is currently an investigator within the Group Company with a remit covering twenty five of our operating companies around the globe.